This workshop sounds amazing. My son has just started A Level Theatre Arts in Oxfordshire. Are you planning any more over the next 18 months please? Would it be suitable for him? Hi Michelle, thanks for your kind comments. Currently we have two workshops booked for the Merlin Frome on Sun 1st Nov and Sun 13th December. It’s a particularly busy period for them so they were unable to free more dates until January 2016. We also run London Classes too depending on where you are of course. 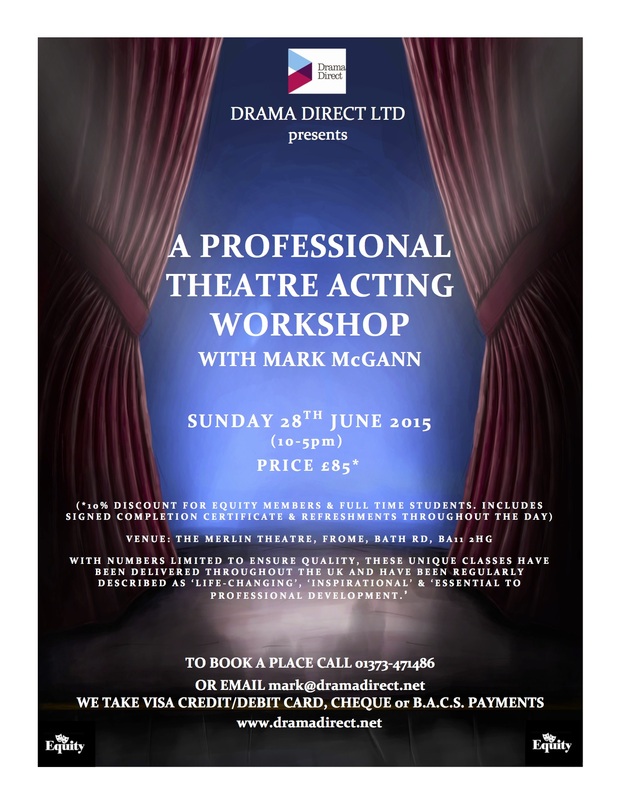 If you keep an eye on this blog or email me at mark@dramadirect.net I’ll keep you up to date.